This is my collection of Abraham Lincoln pictures. There are thirty five pictures all the way from the first known picture of the 16th President in 1846 (or thereabouts), all the way to his funeral procession in New York City in 1865. Along the way, we check out some innovative hairstyles, a great photobomb, and much more. Click on any picture to see a bigger version of it. Under each picture you will see what I could find about the date it was taken and who the photographer was; and I also tried to throw in a bit of interesting info about each picture. Please enjoy! 1846 or 1847 (Probably by Nicholas H. Shepherd) - This is the earliest known photograph of Abraham Lincoln. 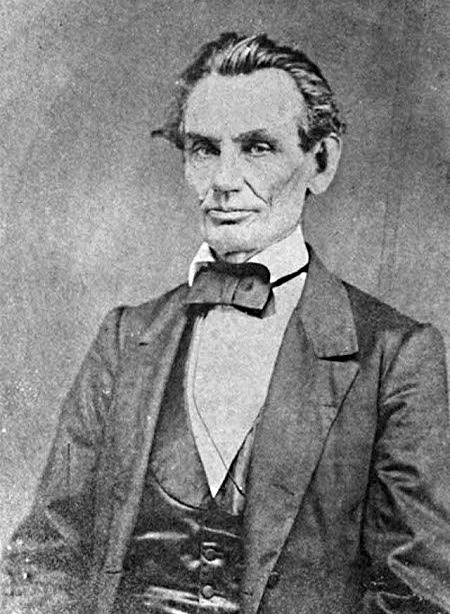 It is believed to have been taken by Nicholas Shepherd (a law student at Lincoln's law office) shortly after Lincoln was elected to the U.S. House of Representatives. 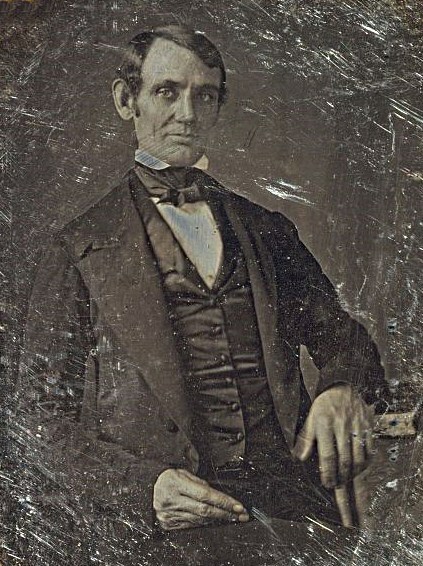 However, Lincoln's son Robert thought he remembered the picture being taken in either St. Louis or Washington after his father term in Congress had begun. 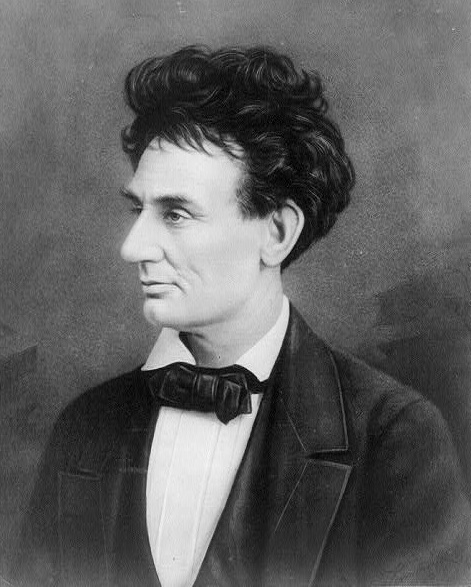 February 28, 1857 (Alexander Hesler) - Here we see that Lincoln was one of the first to try to pull off the "carefully mussed" hairstyle of the modern hipster. Apparently, the photographer had carefully smoothed Lincoln's hair, but he didn't like it so he messed it up just before the picture was taken. 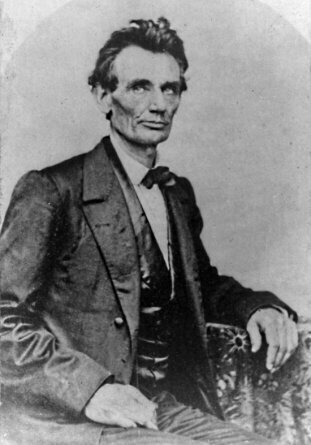 1858 (Roderick M. Cole) - Lincoln was fond of this picture, often signing prints of it for his visitors. In 1861, he gave a copy of this photo to his stepmother. May 25, 1858 (Samuel G. Alschuler) - A Mr. J. O. Cunningham was present when this picture was taken, this his recollection of the event, "Alschuler said ... he could not take the picture in that coat (referring to a linen duster in which Mr. Lincoln was clad), and asked if he had not a dark coat in which he could sit. Mr. Lincoln said he had not; that this was the only coat he had brought with him from his home. Alschuler said he could wear his coat, and gave it to Mr. Lincoln, who pulled off the duster and put on the artist's coat. 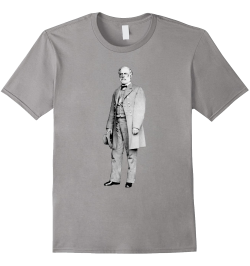 Alschuler was a very short man, with short arms, but with a body nearly as large as the body of Mr. Lincoln. 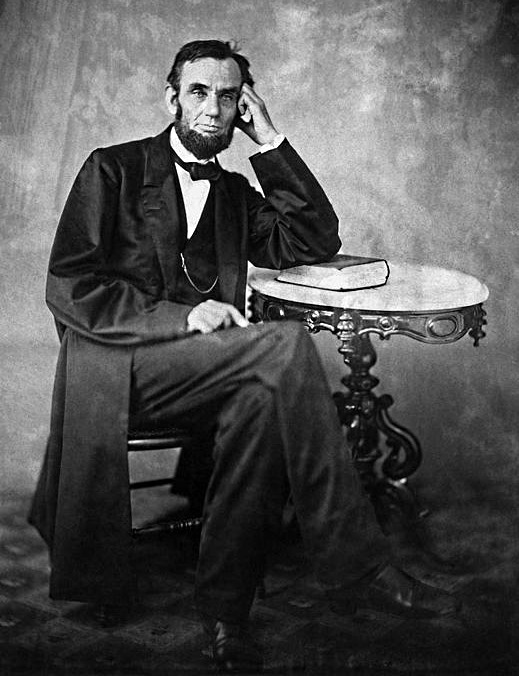 The arms of the latter extended through the sleeves of the coat of Alschuler a quarter of a yard, making him quite ludicrous, at which he (Lincoln) laughed immoderately, and sat down for the picture to be taken with an effort at being sober enough for the occasion. The lips in the picture show this." February 27, 1860 (Matthew Brady) - On the day of his famous Cooper Union Speech (a speech many credit for winning him not only the Republican nomination but the Presidency as well), Lincoln posed for photographer Matthew Brady for the first time. This picture was the result of that session, and it widely circulated throughout the election. Lincoln would later say, "Brady and the Cooper Institute made me President." 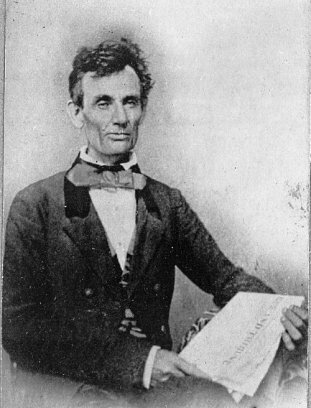 May 20, 1860 (William Marsh) - Two days after he secured the Republican nomination for the Presidency at the National Convention in Chicago, Illinois, Lincoln posed for this picture in Springfield, Illinois. He still seems to be experimenting with some - how shall we say? - more 'dynamic' hair styles. 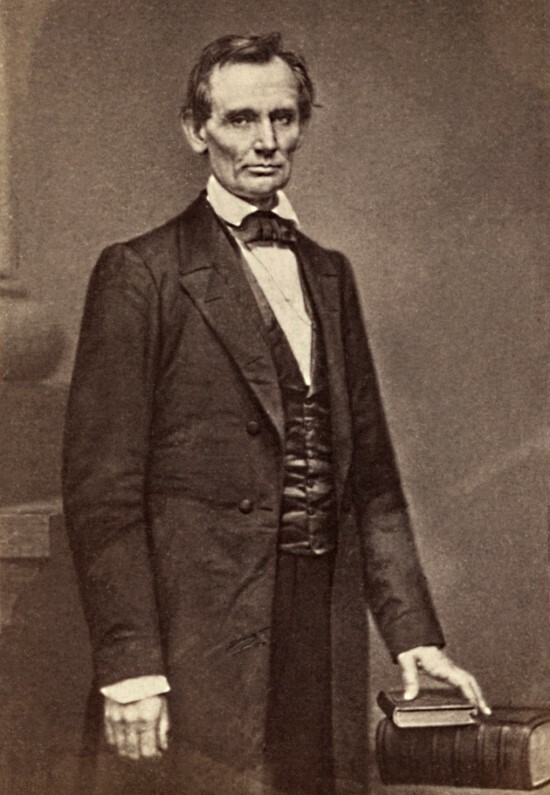 Spring or Summer of 1860 (Unknown) - This full length picture of Lincoln was taken for sculptor Henry Kirke Brown who sculpted the statue of Abraham Lincoln that stands in Union Square in New York City. 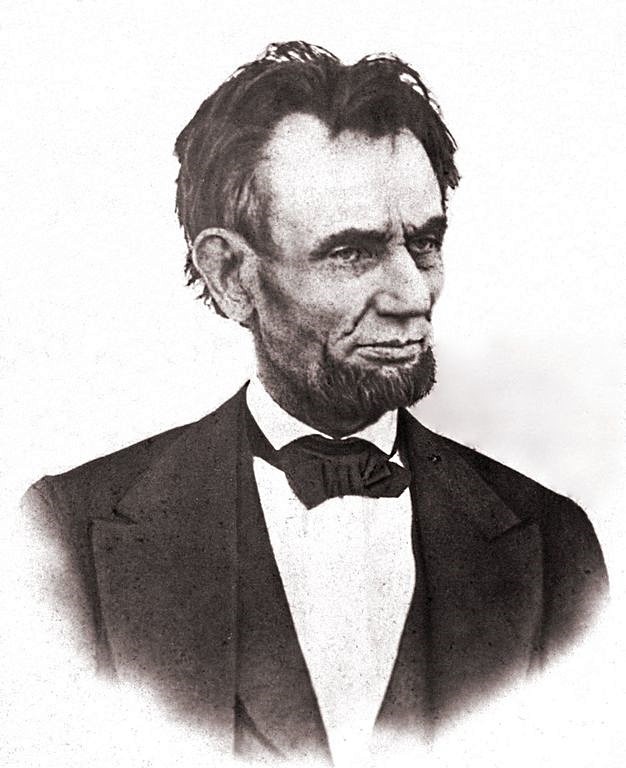 November 25, 1860 (Samuel G. Altschuler) - The first picture of Lincoln with a beard, taken just over a month after he received Grace Bedell's letter. 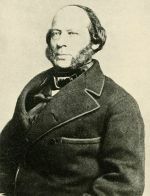 October 27, 1854 (Johan Carl Frederic Polycarpus Von Schneidau) - This picture was taken for George Schneider, an influential anti-slavery newspaper editor. Incidentally, the man who took this picture has the distinction of being the photographer with the coolest name to ever take Lincoln's picture. (William H. Masters) - The creator of this picture (Masters) claimed that it was taken on on July 4, 1856. 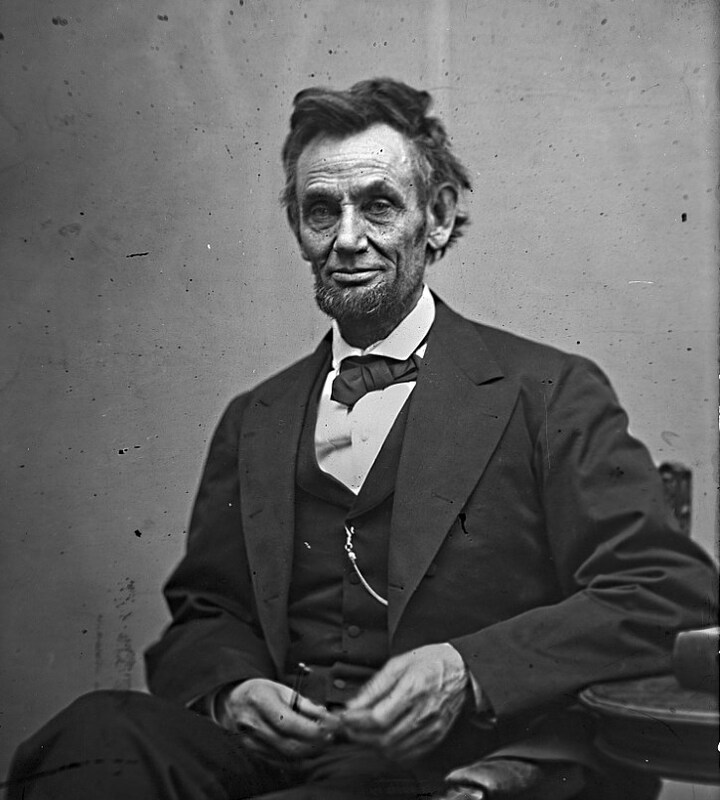 In actuality, he just took Hesler's picture (left) reversed it, retouched Lincoln's hair (making it even more hipster chic), and smoothed some of Lincoln's wrinkles. 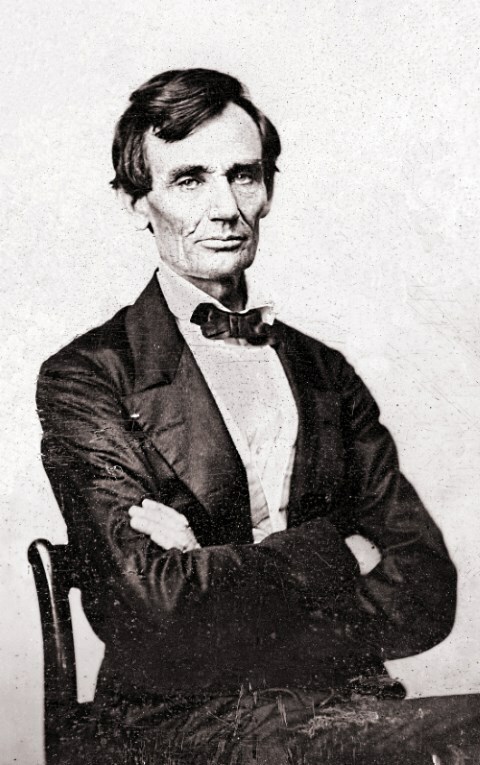 Masters sold so many copies of this picture, that it has become the best known faked Abraham Lincoln picture. May 27, 1857 (Amon T. Joslin) - There has been some disagreement over when this picture was taken (with dates ranging from 1853 to 1859), but is believed it was taken in 1857 in Danville, Illinois. 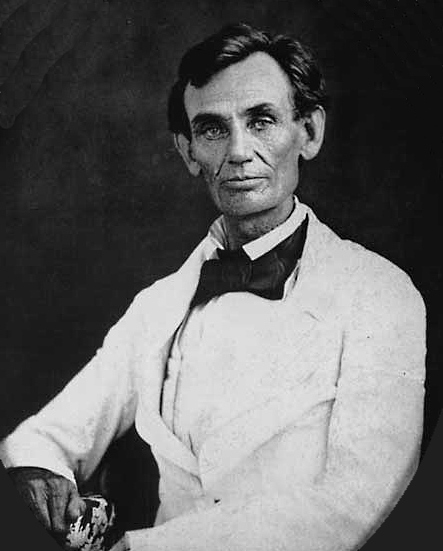 May 7, 1858 (Abraham M. Byers) - Lincoln is wearing a white linen jacket in this picture. It was taken in Beardstown, Illinois shortly after he had won the famous "Almanac Trial." This was the trial in which Lincoln got a friends son acquitted of a murder charge by convincing the jury that the prosecution's star witness had lied about the amount moonlight there was on the night of the murder. The photographer was eighteen years old when he took this picture. October 4, 1859 (Samuel M. Fassett) - This picture was taken at the gallery of Cooke and Fassett in Chicago, Illinois. Cooke claimed that, "Mrs. Lincoln pronounced [it] the best likeness she had ever seen of her husband." June 3, 1860 (Alexander Hesler) - Yes, this was taken by the same Hesler who took the amazing "hipster hair" picture in 1857. It is one of four pictures taken at this sitting, and three of them drew some interesting remarks. 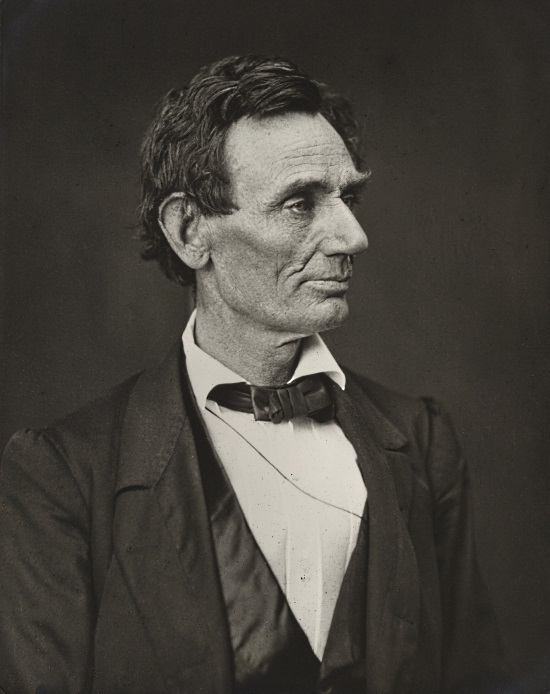 Lincoln's law partner William Herndon said of this photo, "There is the peculiar curve of the lower lip, the lone mole on the right cheek, and a pose of the head so esssentially Lincolnian; no other artist has ever caught it." 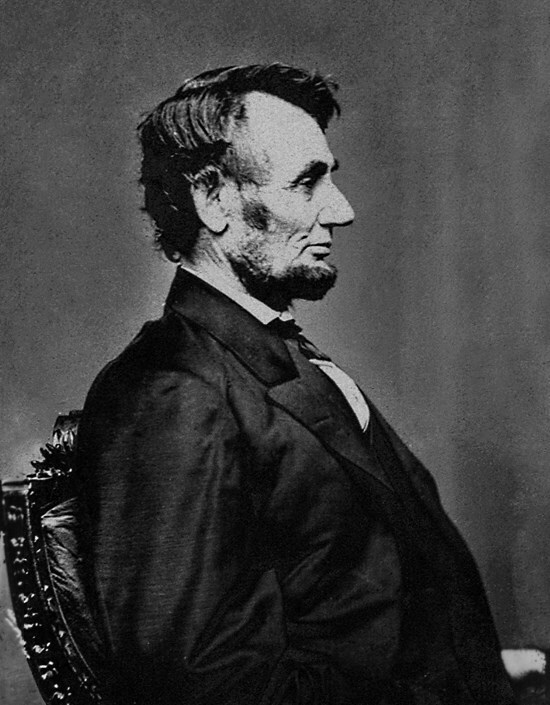 One of the other photos taken on this day caused Lincoln to say, "That looks better and expresses me better than any I have ever seen; if it pleases the people I am satisfied." 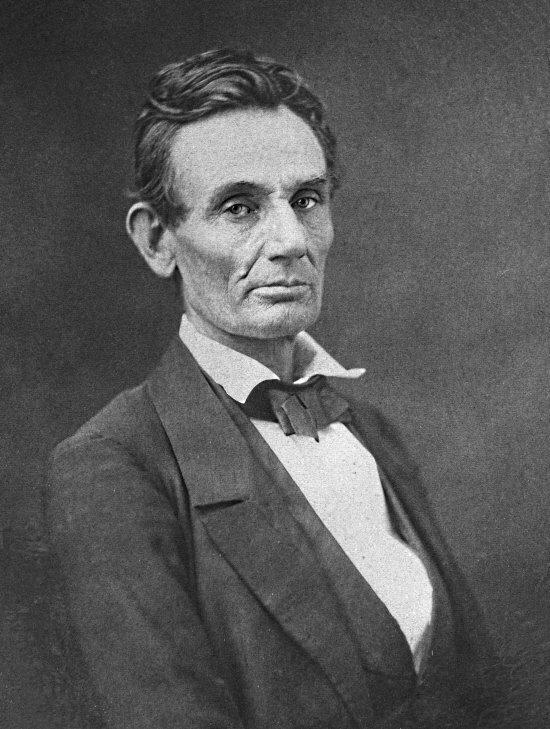 Lincoln would later tell a reporter while looking at a third photo from this session, "That picture gives a very fair representation of my homely face." Overall, it seems Hessler did a good job. 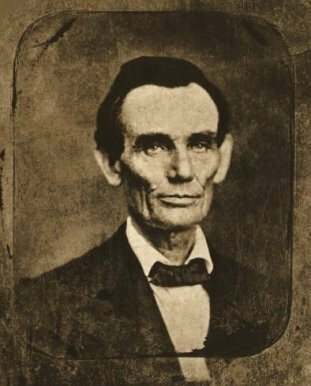 August 13, 1860 (Preston Butler) - This is the last picture taken of Abraham Lincoln without a beard. 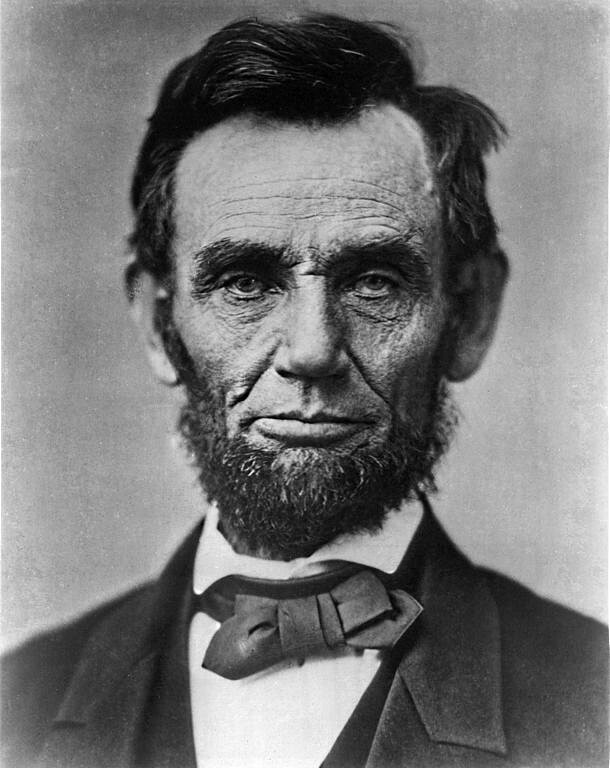 On October 15, an eleven year old girl from New York name Grace Bedell wrote Lincoln a letter encouraging him to grow a beard to improve his looks. In it she wrote, "I have yet got four brothers and part of them will vote for you any way and if you let your whiskers grow I will try and get the rest of them to vote for you you would look a great deal better for your face is so thin. All the ladies like whiskers and they would tease their husbands to vote for you and then you would be President." Four days later, Lincoln responded to her letter, but he didn't sound too convinced, "As to the whiskers, having never worn any, do you not think people would call it a silly affection if I were to begin it now? " Despite this, the next time he visited his barber he told him, "...let's give them a chance to grow," and in his next picture (left) we can see the beginnings of the iconic Lincoln beard. In February of 1861, Lincoln took the train from Illinois to Washington D.C. for his inauguration. Along the way, he made a stop in Miss Bedell's hometown of Westfield, New York, and asked to meet the little girl by name. Her father rushed her through the crowd of onlookers to see the President-elect, and this is what she recalled about the event years later, "He climbed down and sat down with me on the edge of the station platform,'Gracie,' he said, 'look at my whiskers. I have been growing them for you.' Then he kissed me. I never saw him again." 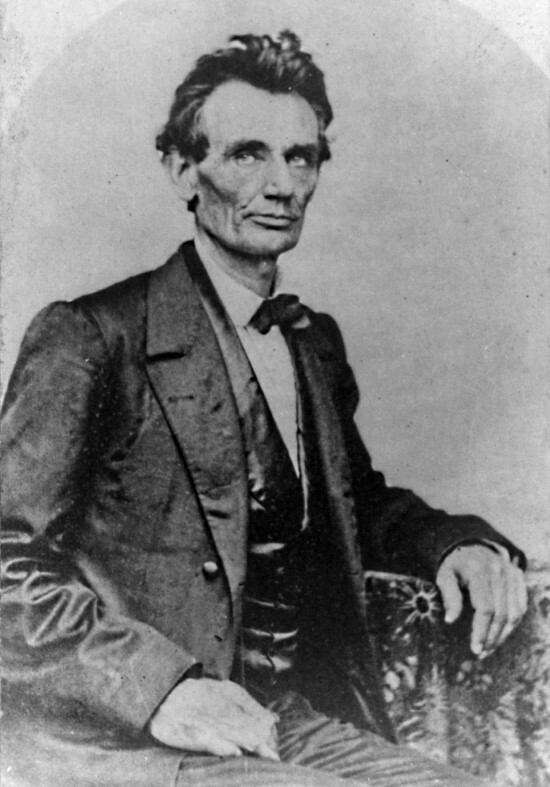 February 9, 1861 (Christopher S. German) - Taken just before he left Illinois for his inauguration in Washington D.C. 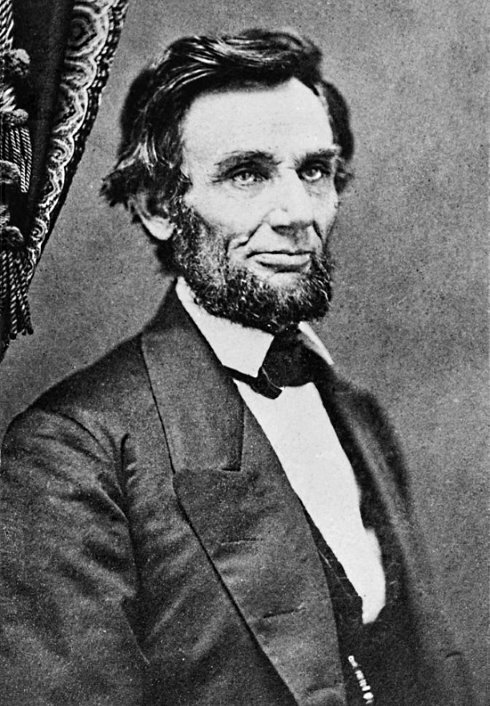 This Abraham Lincoln picture was taken ten days before he met Grace Bedell to show her he had followed her advice and grown a beard. 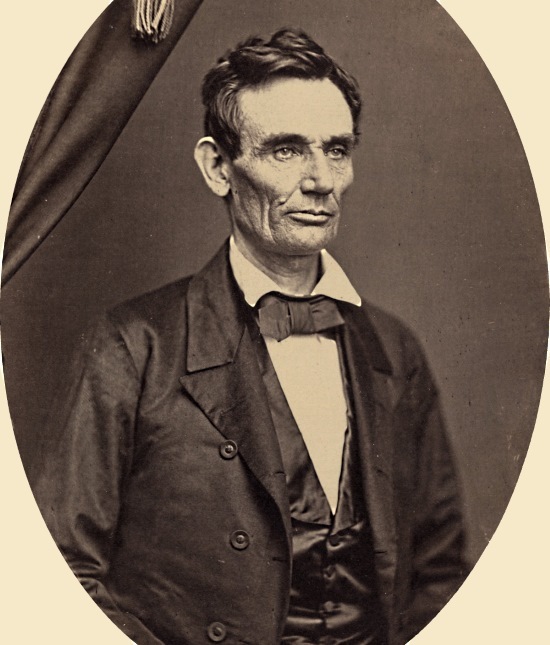 May 16, 1861 (Matthew Brady) - Lincoln assumes a contemplative pose for this photo by Brady. Seems somewhat similar to the Gardner picture from February with the hat and all. 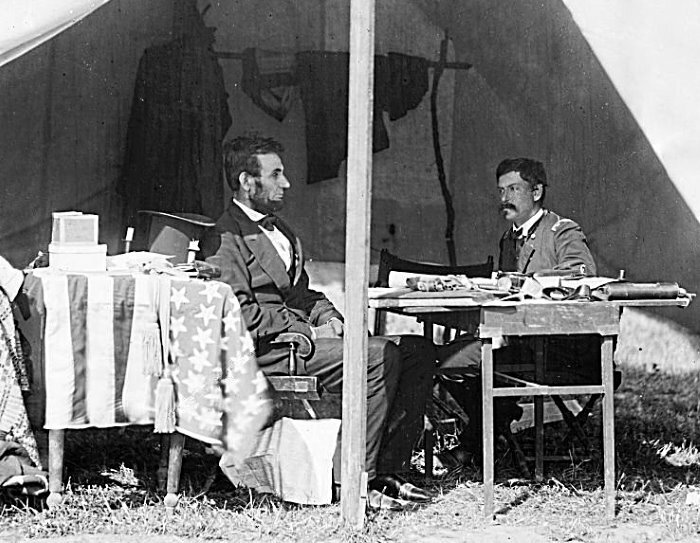 October 3, 1862 (Alexander Gardener) - Another Abraham Lincoln picture at Antietam, in this one his meeting with General George B. McClellan. Lincoln was considering removing McClellan from command of the Army of the Potomac because of his failure to follow up and attack the retreating Confederate Army after the battle. I can imagine there might have been some tension in that tent. 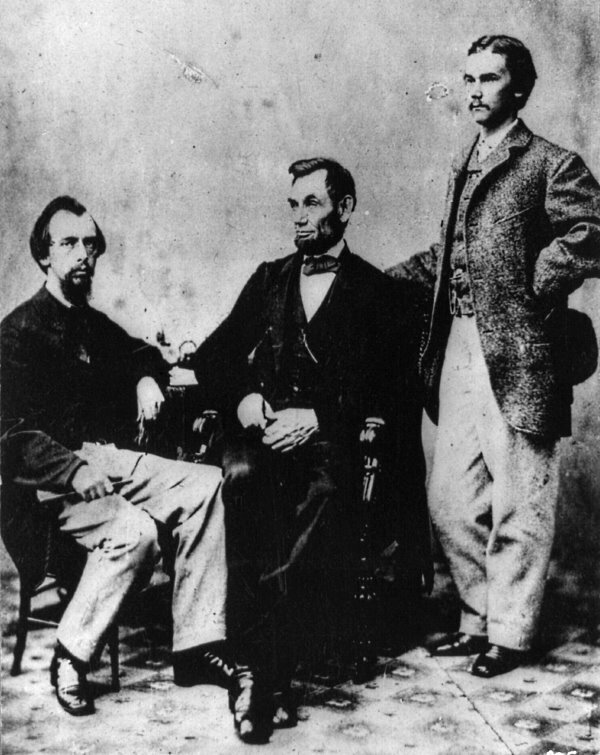 November 8, 1863 (Alexander Gardner) - Here Lincoln poses with his two private secretaries, John Nicolay (left) and John Hay. 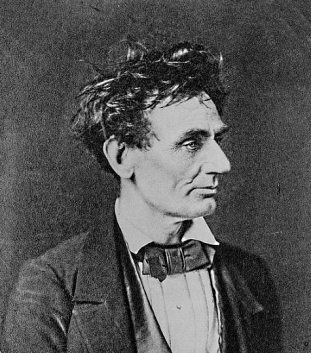 This was one five photos Gardner took during this session with Lincoln. November 19, 1863 (David Bachrach) - This photo shows Lincoln (highlighted) sitting on the platform at the dedication of the Soldiers' National Cemetery in Gettysburg, Pennsylvania. This was taken just after Lincoln arrived, and roughly three hours before he delivered the Gettysburg Address. There are no good pictures of Lincoln at Gettysburg, and it basically boils down to playing a black and white version of "Where's Waldo?" The Smithsonian has an interesting article about a possible identification of Lincoln in another photo taken at the Gettysburg dedication. 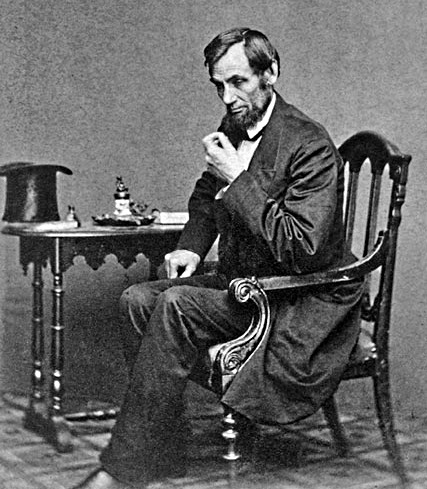 February 9, 1864 (Anthony Berger) - This is one of two pictures from this photo session used by Victor David Brenner to design the Lincoln penny in 1909. 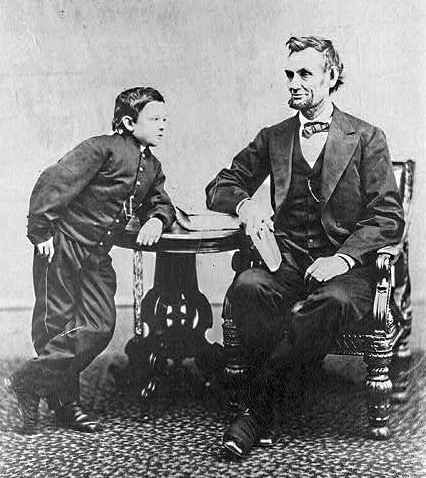 February 5, 1865 (Alexander Gardner) - Lincoln and Tad again about one year later. Tad was known as a somewhat unruly child, and there are stories of him disrupting Presidential meetings, charging fees to let people see his father, and generally running rampant throughout the White House. 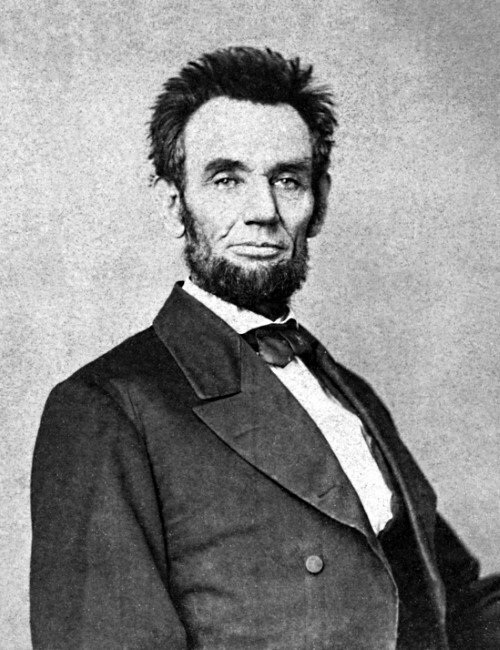 February 1865 (Lewis Emory Walker) - We find Lincoln sporting another experimental hairstyle in this picture from February 1865. It is speculated that perhaps his hair was cut shorter and combed up like this in preparation for making a mold for a life mask. I prefer to think that he was just trying out some new hair products and things got a little out of control, but that's just me. 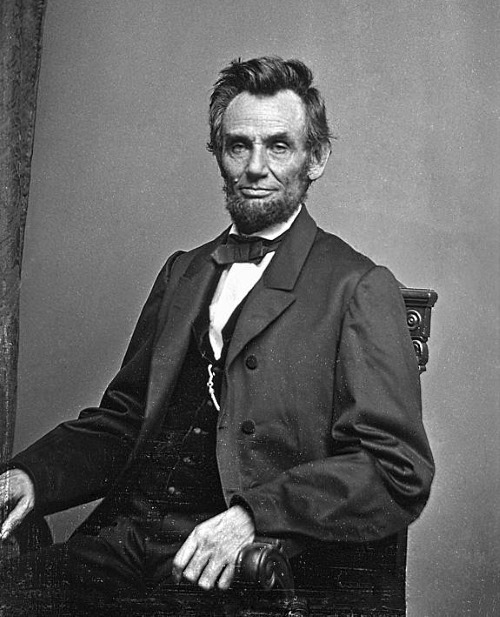 March 6, 1865 (Henry F. Warren) - This is the last known picture of Abraham Lincoln while he was alive. It was taken on the balcony of the White House two days after his second Inauguration. 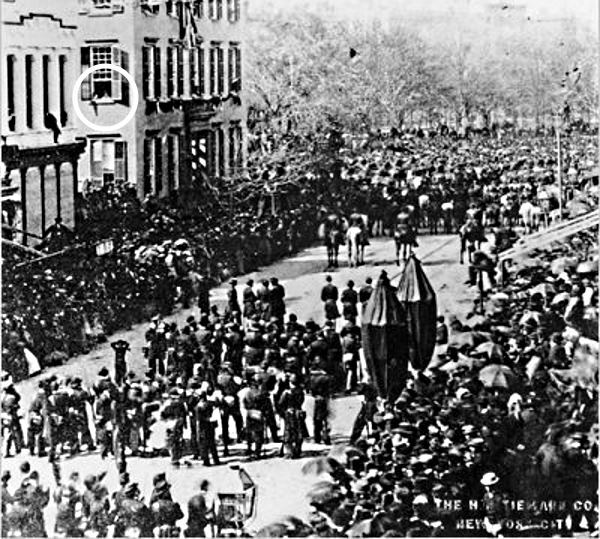 April 25, 1865 (Unknown) - Here we see Lincoln's funeral procession along Broadway in New York City. In the upper left hand part of the picture you can see two children (circled) watching from a window. They are believed to be future President Teddy Roosevelt and his brother Elliott. The building was the boys' grandfather's mansion, and accounts from family members confirm that they watched the procession from the windows of the mansion. February 24, 1861 (Alexander Gardner) - This picture was taken during Lincoln's first sitting after arriving in Washington D.C. for his inauguration. 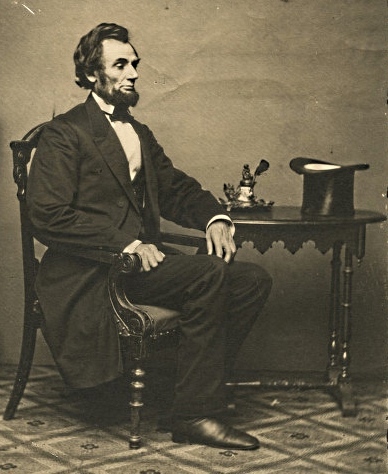 His iconic stovepipe hat makes what I believe is its first photographic appearance. 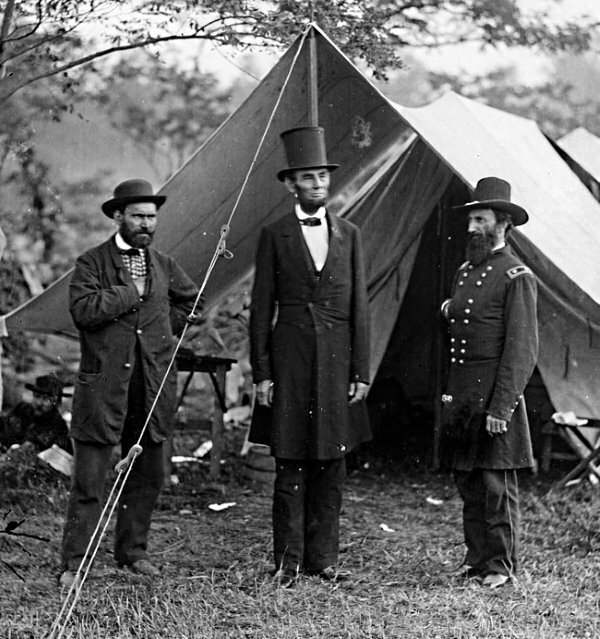 October 3, 1862 (Alexander Gardener) - Here Lincoln poses with Major General John A McClernand (right) and Allan Pinkerton at Antietam a couple weeks after the battle. At the time, Pinkerton was serving as the head of the Union Intelligence Services. This position helped boost his credibility and catapult his pioneering private detective agency into the national spotlight. Also, there's some random guy in the lower left pulling off a strong photobomb of the President. August 9, 1863 (Alexander Gardener) - Yet another picture by Gardner, this one is back in his studio in Washington D.C. Gardner took 37 photos of Lincoln, more than any other photographer. 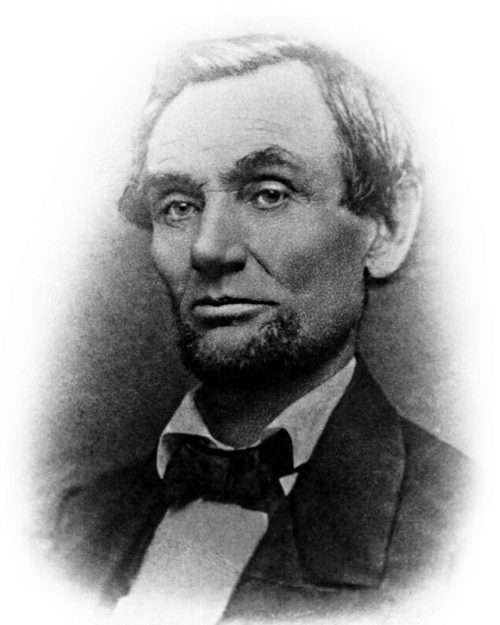 November 8, 1863 (Alexander Gardner) - This is one of the most famous picture of Abraham Lincoln. Often referred to as the "Gettysburg Portrait," it was taken in Washington D.C. eleven days prior to Lincoln's Gettysburg Address. 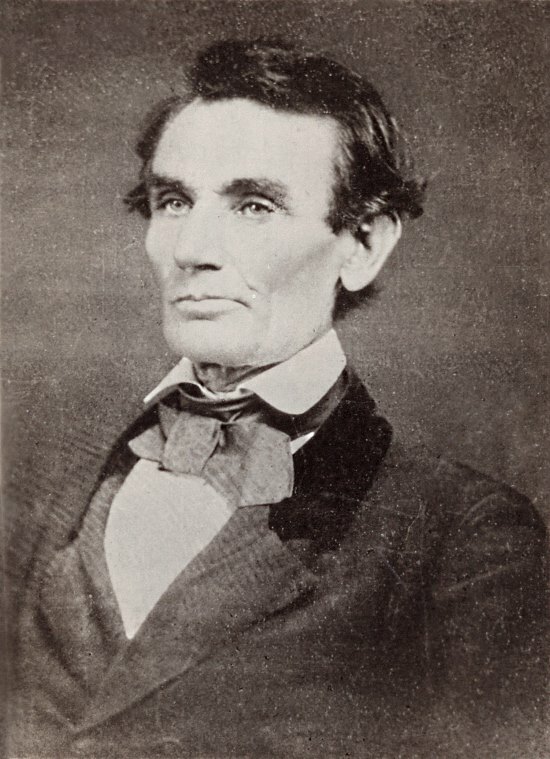 January 8, 1864 (Matthew Brady) - A portrait of Lincoln taken Brady early in the election year of 1864. 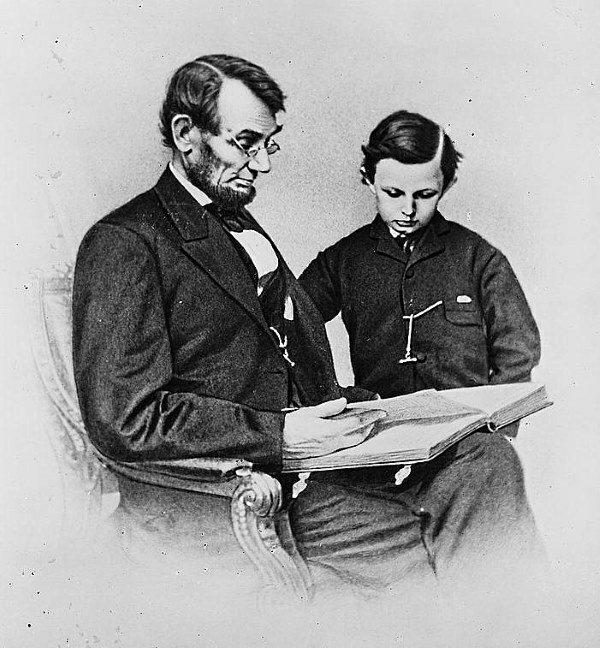 February 9, 1864 (Anthony Berger) - In this picture taken during the same session as the "penny profile" Lincoln and his son Tad (Thomas) look at a photo album. This is the only close up of Lincoln with his glasses on. February 5, 1865 (Alexander Gardner) - This picture is often dated incorrectly. It is frequently said to have been taken on April 10, 1865, just four days before Lincoln's assassination. However, it was taken in February, during the same session as the picture with Tad leaning on the table. 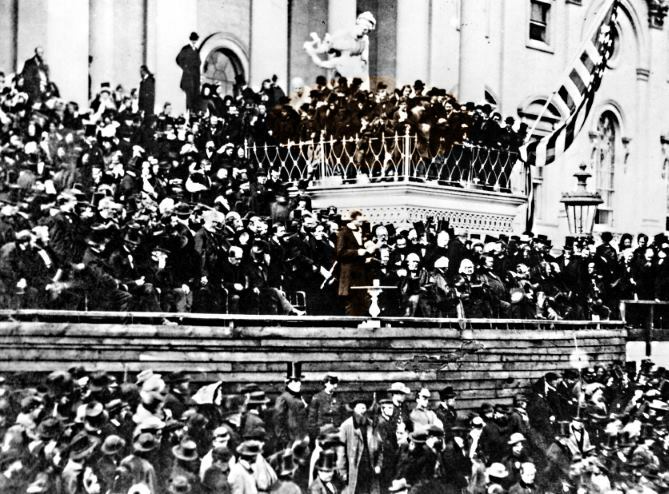 March 4, 1865 (Alexander Gardner) - In this picture, Lincoln is delivering his second Inaugural Address. 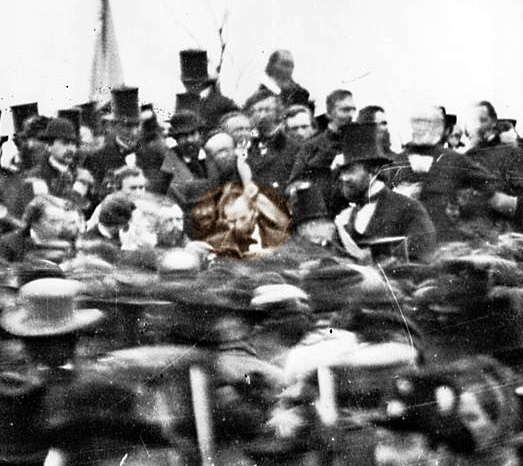 Lincoln can be seen (highlighted) standing up delivering his speech. It is speculated that John Wilkes Booth, the man who would assassinate Lincoln, was standing on the balcony above Lincoln (also highlighted) to watch the speech. You can find an interesting discussion of where Booth may have been during the Inauguration here. April 24, 1865 (Jeremiah Gurney, Jr.) - Until this picture was discovered in 1952 by a fourteen year old boy, it was not believed that there were any pictures of Lincoln in an open coffin. Young Ronald Rietveld found the picture while doing research at the Illinois State Historical Library. 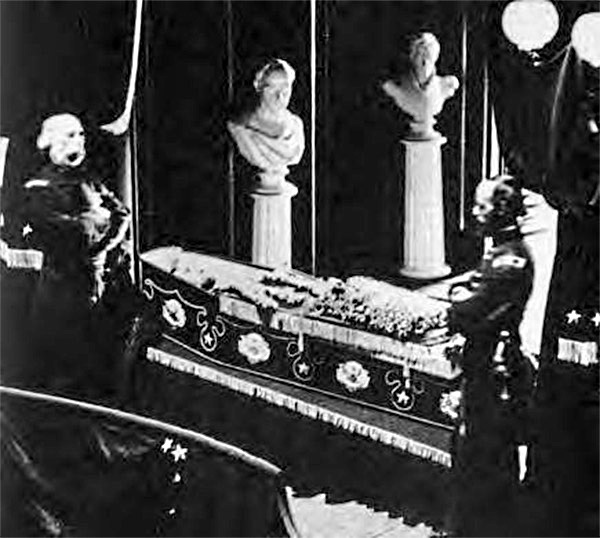 The picture was taken while Lincoln lay in state in New York City hall, but Secretary of War Edwin Stanton confiscated it as soon as it was taken. Its existence remained unknown until it was re-discovered by the young researcher. Whats your favorite Abraham Lincoln picture? Tell us in the comments below. 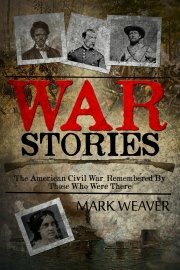 Check out my book for even more amazing Civil War Stories! 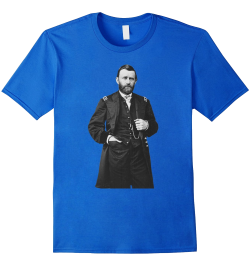 Check out our new line of Civil War Themed T-Shirts! Check out my new book of American Civil War Stories! I promise to use it only to send you The ACW Story. 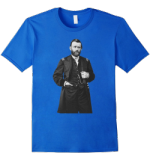 Our new line of American civil war themed t-shirts. An extensive collection of Abraham Lincoln pictures. The USS Monitor was one of the first ironclads built for the Union Navy. She fought the CSS Virginia at the momentous Battle of Hampton Roads on March 9, 1862.